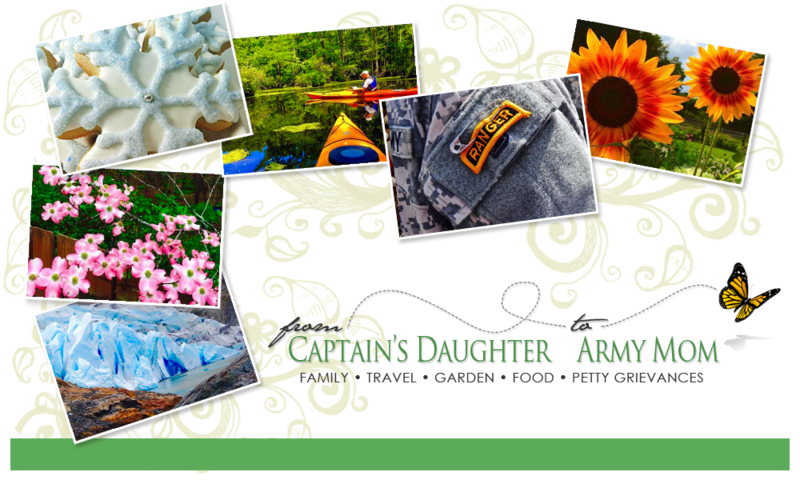 From Captain's Daughter to Army Mom: Thank you for the Sunny Sunday! on the deck, the Sun is shining and it's Lunch-time! meat in them... See, Randy gave up meat for Lent. Ever the Hero, our Randy! The Japanese Maple in the front yard is putting on Quite a show now! And, the dogwood tree against the Wood-line popped this weekend! the Birds are feeding at Every feeder though! I lied. Forgive me... but I just had to Bring him inside to Enjoy! Okay... When he comes into the Kitchen, everybody act Natural!